'Open', 'informal', and 'humanistic' are words used to describe new styles of education which depart from ordinary or traditional education. Too often, however, these adjectives are used in a strongly polemical or self-justifying rather than analytical way. Often too, the grounds for accepting or rejecting open education are political or moral, instead of being based on a consideration of the nature of open education and its strength and weaknesses. 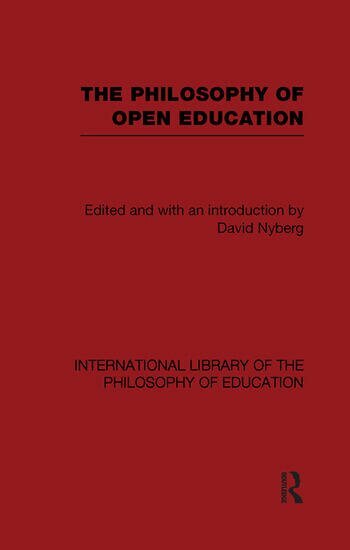 This collection of essays is central to the debate on open education, analyzing the important concepts in the field. The contributions, all written by authorities on the philosophy of education, deal with problems of definition, knowledge, socialization, freedom, cultural perspective, and unique meanings and metaphors.